Forty-five years old, married with two teens, and employed full-time, Shannon struggled to care for her aging parents as their health deteriorated. Her mother, age 75, had fractured her hip and was in a wheelchair. Her father, age 82, had congestive heart failure and was showing signs of dementia. When it became clear they couldn’t take care of themselves any longer, they moved in with Shannon and her family. Everyone did their best to pitch in, but it wasn’t easy. Eventually, Shannon’s parents needed more help than the family could provide, but the cost of home care services was a rude awakening and rapidly depleted her parents’ savings. Aging is expensive. 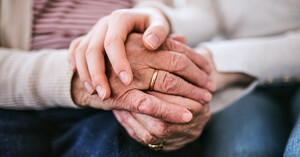 Fidelity’s Retirement Health Care Cost Estimate states that the average couple can expect to spend about $280,000 on medical expenses during their retirement, and this does not count nursing home or long term care expenses. Unfortunately, there is no sign that healthcare expenses will slow anytime soon to match the pace of inflation. And unfortunately, people often underestimate the costs of home care and long term care. A common misperception is that Medicare will pay for long term nursing home care or live-in care. However, nursing home care is covered under Medicare only under certain conditions for a limited period of time. Most people who need nursing home care after their Medicare coverage expires use their assets to pay for care until their savings are exhausted and they qualify for Medicaid assistance. Genworth estimated that the national median cost for home care services in 2018 ranged from $4,004 to $4,195 a month, and adult day care was $1,560/month. Even though these costs can quickly drain one’s savings, nursing home care is even more expensive, at approximately $7,441 per month, or more than $89,000/year. Many people enter a nursing home as a private pay client and apply for Medicaid when they have spent down their savings to the point where they meet Medicaid eligibility guidelines. While federal rules protect a certain amount of a spouse’s assets when one spouse is not institutionalized, there is a maximum amount of joint assets the other spouse can keep. Private long term care insurance is an option to consider, although premiums can be very expensive. There are many types of policies that can help pay for skilled nursing care as well as services such as adult day care, assisted living, and home health services. Long term care insurance coverage options vary widely, and people shopping for this type of insurance should closely review the types of services and facilities the policy covers, as well as the long term affordability of the policy if there are premium hikes. Given these realities, what should individuals do? Start planning for the costs of aging long before retirement. Factor in the rising expenses of healthcare in your retirement planning and review the pros and cons of buying long term care insurance. According to the U.S. Dept. of Health and Human Services, someone turning age 65 today has an almost 70% chance of needing some type of long term care services and supports. If you’re likely to become a caregiver for an aging parent, it’s important to have the honest (and often difficult) conversations about finances. Educate yourself and your aging parents about the rules for state and federal programs such as Medicare and Medicaid before a crisis happens. If your relatives don’t have long term care insurance, what kind of care can they afford and for how long? Will family members be able to pitch in financially or allow the parent(s) to live with them if necessary? What roles and responsibilities will siblings take? Navigating the maze of long term care options can be confusing, but planning far in advance, ideally with the help of professionals such as elder law attorneys, financial advisors, and geriatric case managers, can prevent a great deal of hardship later on. This material is provided for informational purposes only, and is not intended as authoritative guidance, legal advice, or assurance of compliance with state and federal regulations.